If you missed Heather Givans’ November workshop, you’ll have another opportunity to spend time with this creative force! Heather will be returning to Mudsock on February 1 for a 6-hour workshop using her Succulent Garden pattern. Sign-up for this workshop has already started, and only six spaces remain. Sign up now and pay for the workshop at the sign-up table at the November meeting. Succulent Garden pattern not included; you will also need a large template, a few of which Heather will bring to sell. A few of us already own the pattern and can share it if you chose not to purchase one. Deadline for payment is November 12. Weeks Ringle and Bill Kerr are professional quiltmakers and co-founders of Modern Quilt Studio, a design studio in Oak Park, Illinois. Having written the first book on modern quilting, Bill and Weeks are pioneers of the Modern Quilt movement. Weeks made her first modern quilt in 1987 to rethink the possibilities of the American quilt as being expressive of the time in which we live. Having sewn since he was 8, Bill began designing and making modern quilts in 1995. Their work has been featured widely in the national press including in O:The Oprah Magazine, Time magazine, The New York Times, Dwell, American Patchwork & Quilting, Patchwork Tsushin, France Patchwork, and Country Living, among others. Weeks and Bill have taught extensively throughout the U.S., Canada, Japan (classes taught in Japanese), England, and France (classes taught in French). 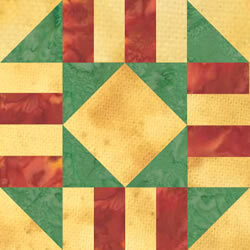 In addition, Weeks has taught two online classes, Designing Modern Quilts on Craftsy and Solids Revolution on iquilt.com. In 2011, Modern Quilt Studio launched the first-ever magazine dedicated exclusively to modern quilting, Modern Quilts Illustrated. When not busy designing and sewing, Weeks writes about craft and creativity on her blog, Craft Nectar. When he’s not working in the studio, Bill can be found at Dominican University in River Forest, Illinois, where he is Director of the Graphic Design Discipline. He is the former Chair of the Art Department. Student supplies: rotary cutting equipment, a wide assortment of cotton quilting fabric scraps (bring fabrics you love to work with as well as others that have proved challenging to work with; we’ll be working with small pieces), notebook or journal, and a glue stick. We will not be using sewing machines at this workshop. April 9 – All-day Workshop, Rediscovering Your Stash, with Weeks Ringle. Community North Pavilion, 146th Street and Cumberland Road, 9 a.m.–4 p.m. Cost, $50. Gain color confidence and plan creative ways to use your stash in one day! Mix a big dose of color theory with an in-depth discussion of combining patterns and a pinch of working with large-scale fabrics and you’ll end up with a plan for projects that you want to make from the fabrics you already have. In addition, you’ll have consultations about how to freshen up your stash while learning how to use fabrics that you love but find perplexing. You’ll see new possibilities for working with your stash and leave the workshop with beautiful palettes and plans for your next few projects. Bring patterns you love and fabrics you’d like to use or are unsure how to use and you’ll be amazed at how you’ll be able to pull it all together. Each student will begin work on a project of their choice during class. Student supplies needed: An open mind and as large an assortment of cotton quilting fabric as you can haul! Try to include different values and hues, small-scale prints, tone-on-tone prints, solids, stripes, batiks, large-scale fabrics, and especially fabrics you love but find challenging to use. Small quantities are fine. You’ll also need a sewing machine, rotary cutting equipment, extension cord, thread, seam ripper, notebook or journal, and any supplies you like to have handy when quilting.